Enchant children's world with delightful FAKRO blinds that will completely change the décor and character of the interior. Even today, the room of your kids can host the heroes of top animated movies by DreamWorks studio: 'Penguins of Madagascar', 'How to Train Your Dragon, 'Kung Fu Panda' or 'Trolls'. 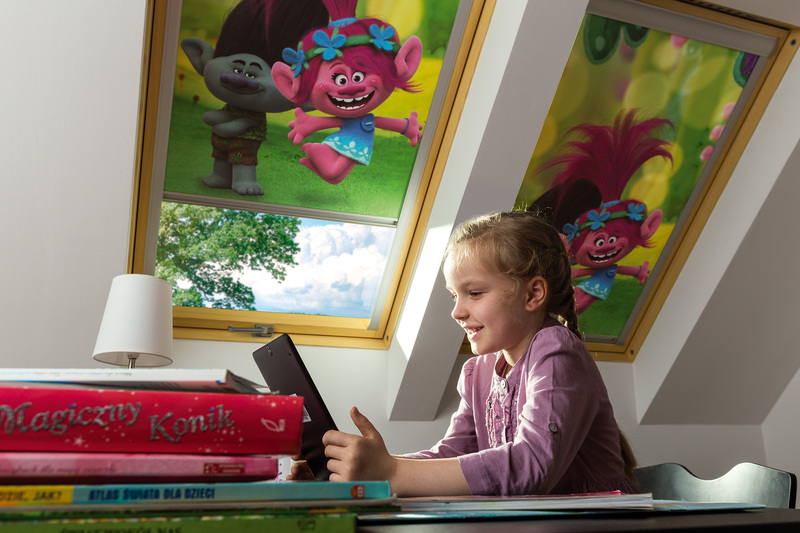 Having in mind the comfort of the youngest residents of the attic, vice-leader of the roof window market has developed the range of internal accessories by adding ARF blackout blinds featuring animated heroes. The new collection was created thanks to the cooperation of FAKRO with DreamWorks Film Studio. A children’s room in the attic is a special place in every home which deserves a particular attention. It should be functional and adapted to needs of the youngest children. Installing internal blinds on roof windows which feature motifs of popular animated movies is an ideal solution to be applied in rooms of your kids. Using ARF DreamWorks blinds you get all their advantages and exceptional décor of the entire room. By unrolling blinds you cover intense sunlight and ensure a pleasant blackout when your children need a rest. Option to stop accessories at any position enables adjustment of the amount of light entering the room to suit children's needs. What is more, blackout blinds with favourite heroes create a charming décor of children's space where the youngest will feel very comfortable spending time on learning or playing with cheerful smile on their face. ARF manually controlled. ZST rod enables operation of ARF installed high up in the roof.